Fresh salads with fresh ingredients. Something for everyone’s tastes! 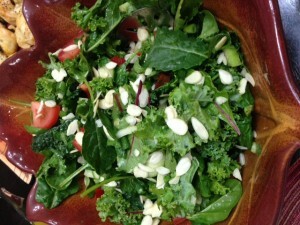 All of our fresh salads are prepared with fresh ingredients that are hand picked to be crisp and ripe. No other catering business compares to our fresh salads. Try one today and your taste buds will understand the difference that mouthwatering ingredients will have on your happiness. Chickpea with roasted peppers and mint salad. Spicy tomato with garlic peppers and cilantro salad. Rich flavor lettuce with herbs salad. Quinoa with Cranberries, Almonds and Herbs Salad. White cabbage with herbs salad. Red cabbage with mayonnaise salad. Want even more salad menu choices? Come by and visit our cooked salads page.